Bats are a critical part of urban ecosystems, yet many city-dwellers see them as pests to be chased away. Joyce Hwang created Bat Cloud to combat their negative perception by giving them greater visibility, emphasizing the important role they play in controlling populations of insects such as mosquitoes. This cloudlike canopy of hanging vessels is designed to provide a habitat for bats and other urban wildlife that have been increasingly driven to cities due to habitat loss and climate change. 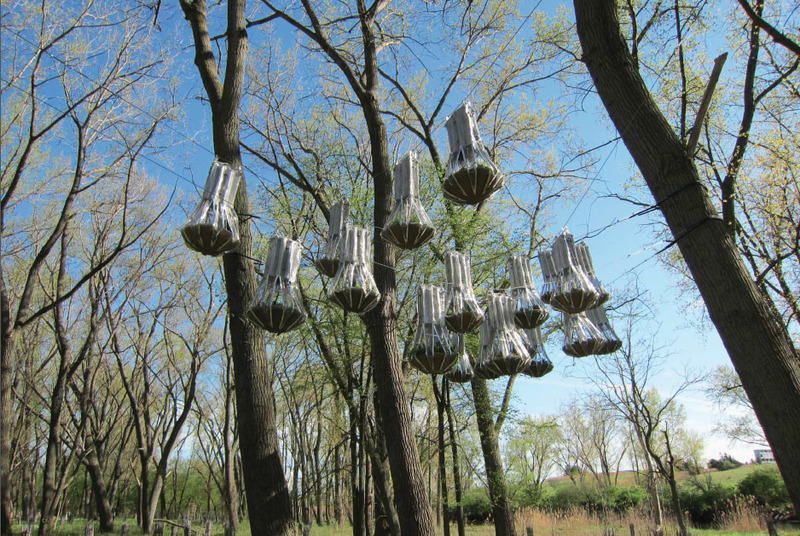 It is currently installed at the in Tifft Nature Center, a preserve that was created on a landfill site in an industrial part of Buffalo, New York.